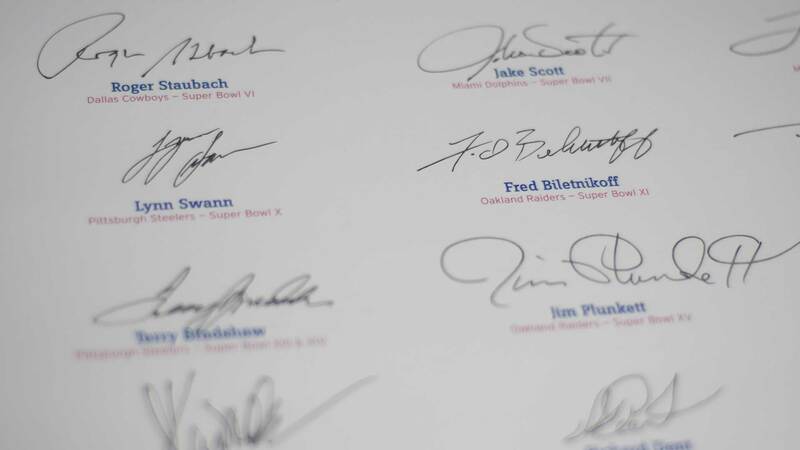 Signed by all living MVPs from the first 40 Super Bowls including Bart Starr, Joe Namath, Terry Bradshaw, Joe Montana, Jerry Rice, John Elway & Tom Brady. 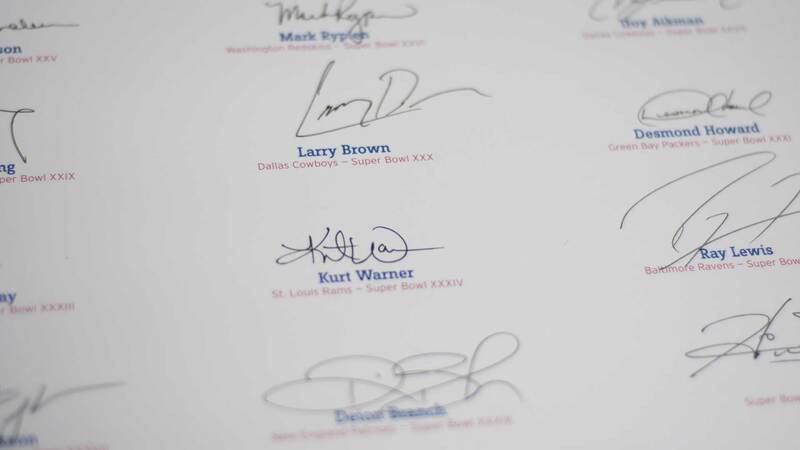 The sheet was signed during Super Bowl week at Super Bowl XL in Detroit, Michigan. 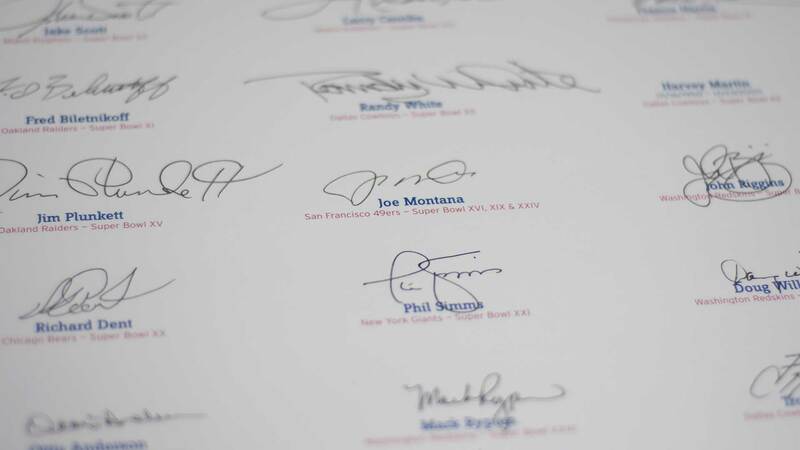 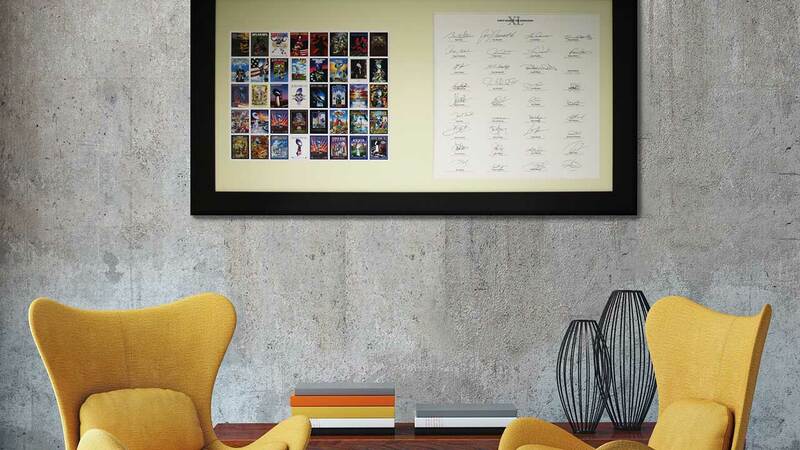 The signature sheet is complemented with an exclusive print of the program covers from Super Bowl I to XL. 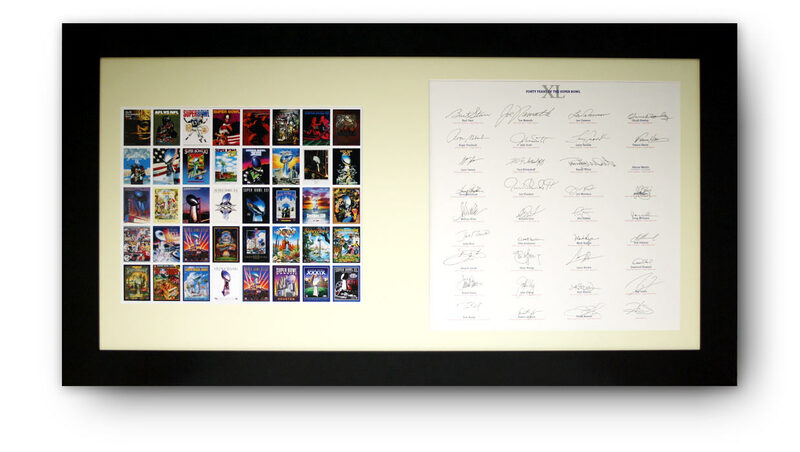 This beautiful piece of Super Bowl memorabilia measures 52” x 28”. 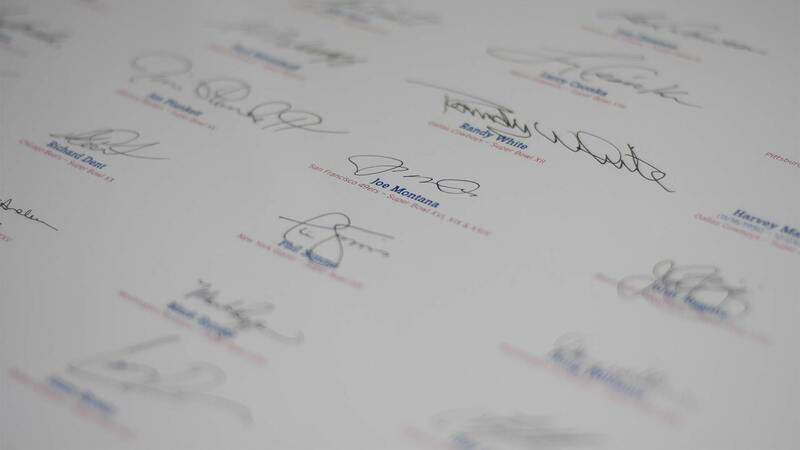 Limited to only 10 worldwide, so act fast to secure yours today.